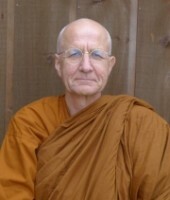 Ayya Medhanandi (1949- ) is the founder and guiding teacher of Sati Saraniya Hermitage, a Theravada forest monastery for women. The daughter of East European WW II refugees who emigrated to Montreal, she began a spiritual quest in childhood that led her to India, Burma, UK, New Zealand, Malaysia, Taiwan, and finally back to Canada. In 1988, at the Mahasi retreat centre in Yangon, Myanmar, Ayya requested full bhikkhuni ordination from her teacher, Venerable Sayadaw U Pandita. This was not yet possible in Theravada Buddhism. Instead, Sayadaw gave her 10-precept ordination on condition that she keep her vows for life. When a military coup closed Myanmar to foreigners, Sayadaw blessed her to join the Ajahn Chah Thai Sangha at Amaravati, UK. Ten years later, Ayya felt called to practice as a hermit nun in New Zealand for 6 years and later in SE Asia. 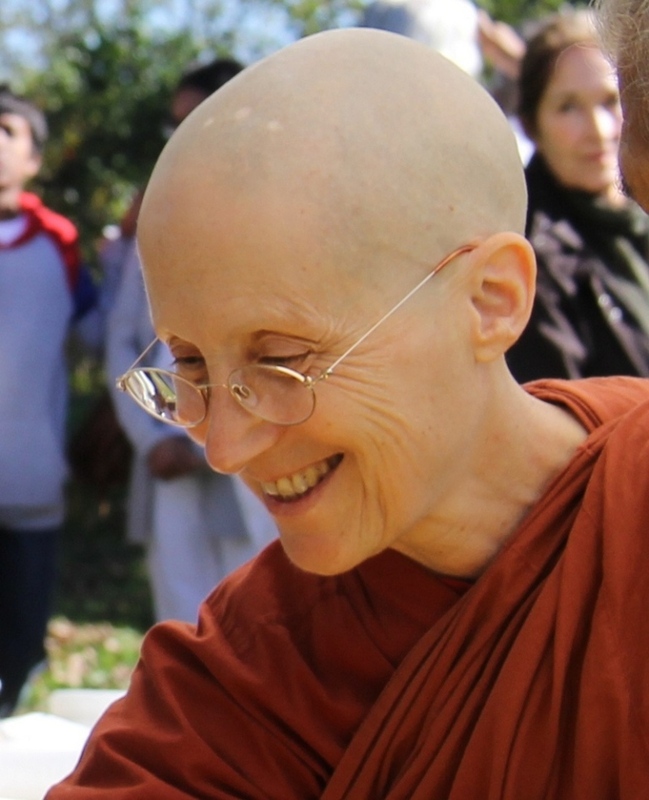 In 2007, after nearly 20 years as a novice nun, she received bhikkhuni ordination at Ling Quan Chan Monastery in Keelung, Taiwan; and, in 2008, invited by Ottawa and Toronto Theravada Buddhist societies, she returned to Canada to establish Sati Saraniya Hermitage. The teacher for this Buddhist meditation and dhamma talk will be Luang Por Viradhammo. Luang Por Viradhammo is the senior abbot of Tisarana monastery, located in Perth, Ontario, which he founded in 2005. He has been the principal spiritual guide for the Ottawa Buddhist Society for the past 10 years.